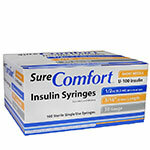 SureComfort Insulin Syringes are designed for easy and comfortable injections. This ultra-sharp, burr-free, easy-to-read insulin delivery system has proven to be an exceptional product for people with diabetes. 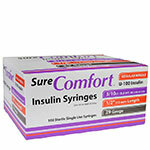 Short Needle, 29 gauge - 1cc 1/2", Box of 100. Case of 5 Boxes. SureComfort Insulin Syringes are designed for easy and comfortable injections. 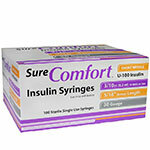 SureComfort is a major supplier to one of the largest diversified health care companies in the world. 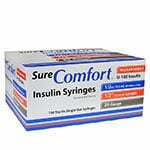 This ultra-sharp, burr-free, easy-to-read insulin delivery system has proven to be an exceptional product for people with diabetes. 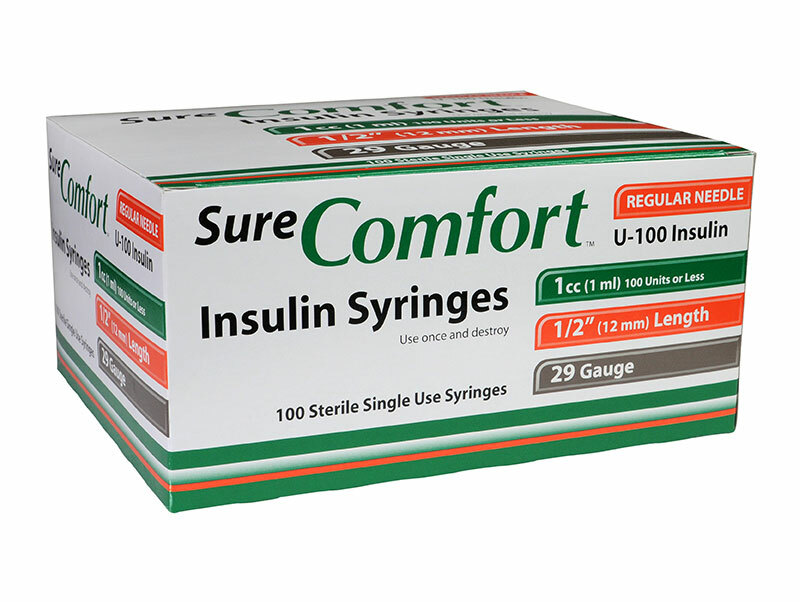 SureComfort has passed numerous tests and a comprehensive audit of our manufacturing facility by a top diabetic medical supplier. 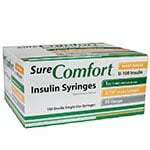 Because of this, we ensure that you will consistently receive the same high-quality syringe. 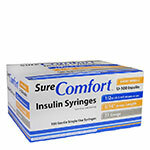 I use these daily for taking insulin. 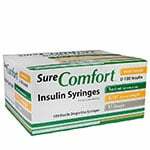 I have ordered this product consistently for the past few years and no issues. I highly recommend them. This is the best possible syringe for giving kittens and cat their immunizations (3-way and 4-way). The thinner needle very obviously hurts kittens MUCH less than the standard 25 gauge. Almost all kitten/cat vaccinations are 1 ml. Studies show that using 25 gauge needles with either vaccinations OR plain isotonic saline cause equal increased risk of cancer at site. More work is needed, but so far, everything indicates reducing injection wound trauma Decreases cancer risk in the future. Great Prices, always important in pet rescue work. best bulk deal and imho, i order this package of 5 everytime!! !